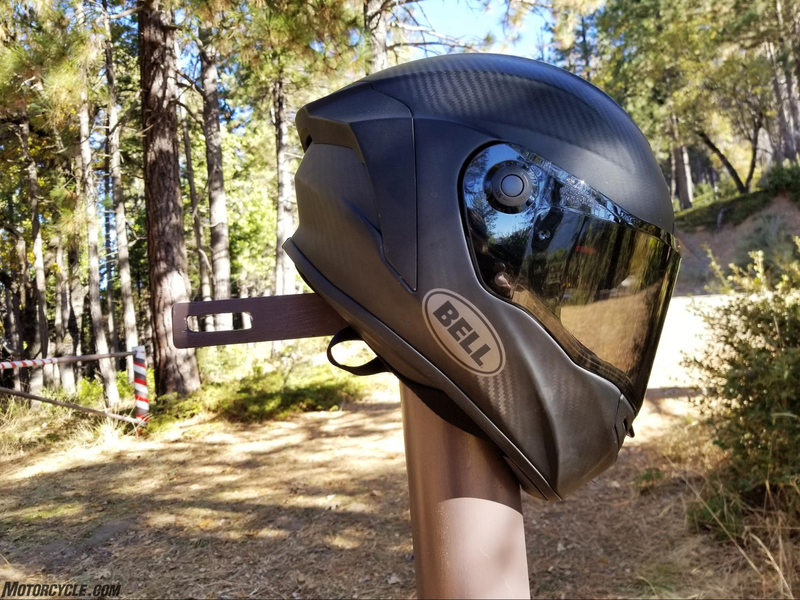 Bell Helmets is a name I have known and thought fondly of since I was but a wee child, riding my bicycle from dawn to dusk every day. I’m not saying that I ever wore a Bell bicycle helmet as child but I remember seeing them in different shops. 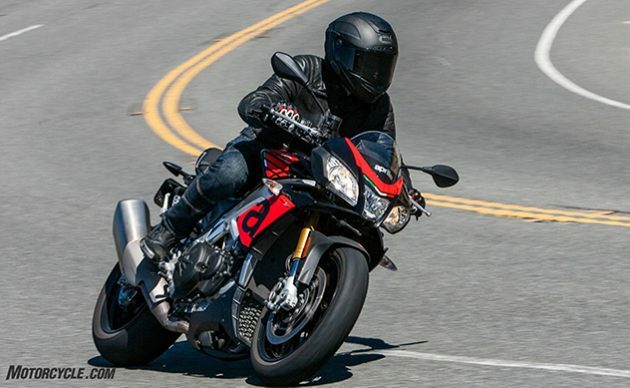 Later in life, when I became interested in motorcycles, I would start seeing the brand popping up more often. At this point the sheer scope of Bell’s participation in automotive, bicycle, and motorcycle culture and racing was lost on me. I had no idea of the storied history that began in 1954 out of a small garage in Bell, CA, by a man named Roy Richter. It would also come to my knowledge that I had grown up living an hour away from a manufacturing facility once used by Bell Helmets in the mid-1980s located in Rantoul, IL. 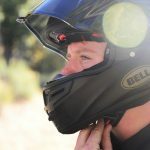 My path with Bell Helmets finally crossed a few months ago when I had the opportunity to test the new Bell Race Star Flex full-face helmet. Typically, I wear a medium in most helmets sometimes dipping to a small. The medium Bell Race Star Flex fits me perfectly. 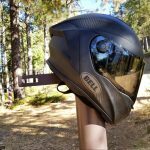 Bell currently has three Star helmets in its line-up: Pro Star Flex, Race Star Flex, and Star MIPS-Equipped. 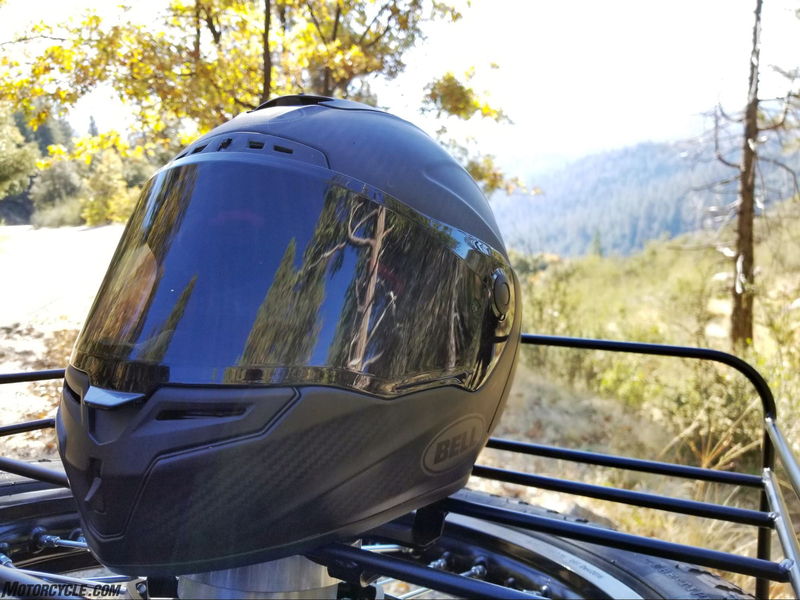 The Pro Star Flex is the top-of-the-line race helmet using Textreme carbon fiber, professional race grade equipment that will cost you $1,199.95. 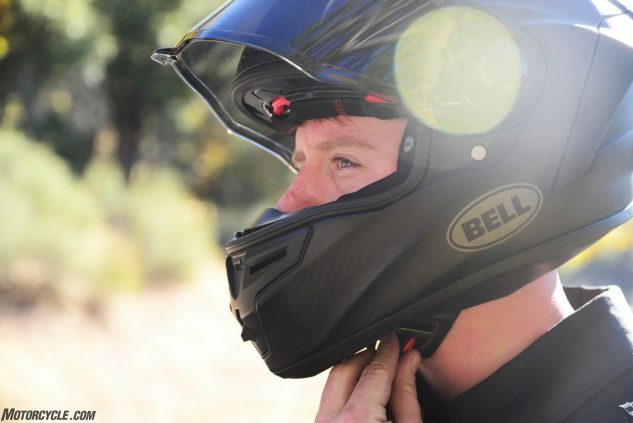 The Bell Star MIPS is the entry level Star which is designed to work in a multitude of daily riding whether leaned over on a sportbike, or more upright on a naked bike, and starts at $469.95. The Bell Race Star Flex falls between these two. 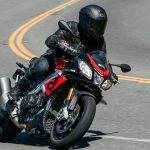 I have used the Race Star Flex at the track as well as on the street and while Bell positions the helmet as a race-focused lid, I have no qualms regarding its street worthiness. 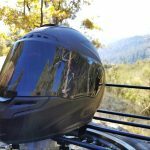 At $699.95 it isn’t cheap, but a deeper look into the technology and features show that there is more to this helmet than your typical brain bucket. 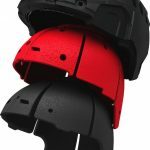 Bell’s three-layer FLEX technology is shown above with multiple different foam densities mitigating impact which are also used in a such a way to reduce rotational damage to your brain. The Race Star Flex utilizes Bell’s 3k carbon fiber outer layer which, depending on your choice of the eight colorways, may be visible partially or entirely. I opted for the classic Solid Matte Black which offers a translucent matte finish over the carbon fiber, exposing the gorgeous weave underneath. That being said, there are about five small imperfections in the carbon weave on my personal helmet. For $700, you be the judge whether you are ok with the possibility. Each helmet will of course, be slightly different. 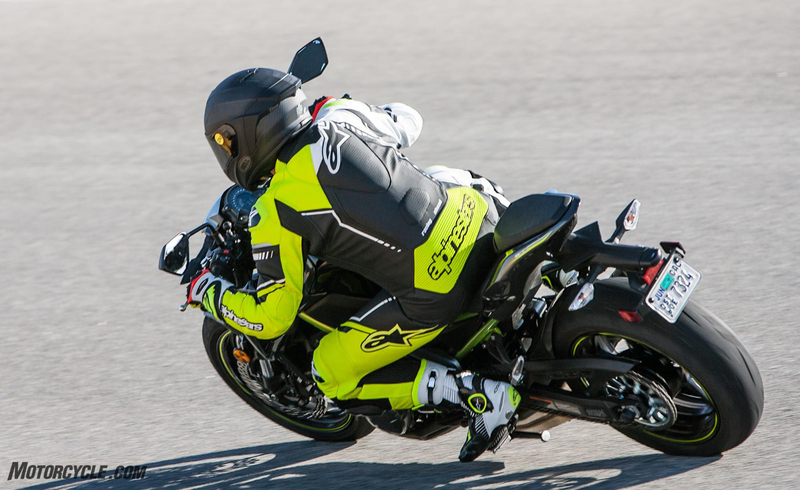 Delving deeper into the Race Star Flex is where we start seeing Bell’s extensive research and development of helmet safety and technology come into play. 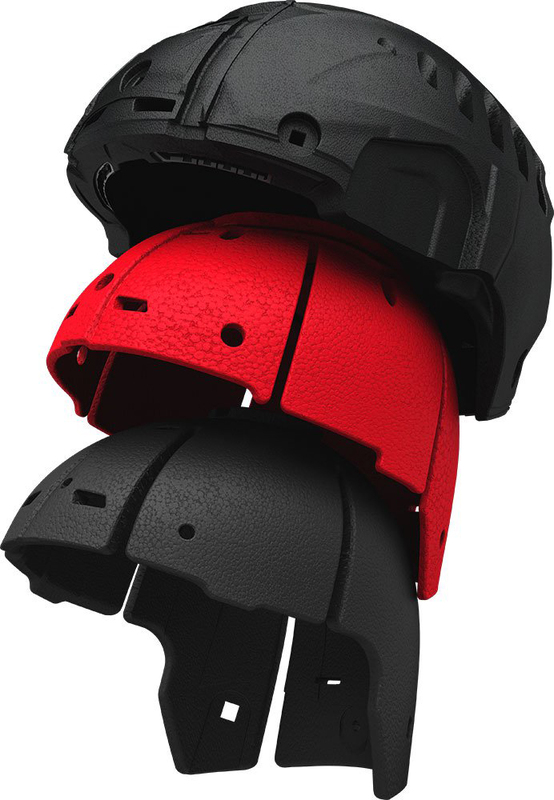 The Race Star uses Bell’s Flex system which is comprised of three layers of impact absorbing foam: the traditional EPS (expanded polystyrene) layer located nearest to the shell, a softer middle layer made from a material called EPP (expanded polypropylene), and an EPO (expanded polyolefin) layer nearest to the skull. These three layers work in a way that reduces rotational forces on the brain, similar but different from the MIPS technology developed in Sweden which is used on the less-expensive Star. I have enjoyed wearing the Bell Race Star Flex in a multitude of adventures. While some race-oriented lids focus purely on performance and lack creature comforts, that is not the case with the Bell Race Star Flex. 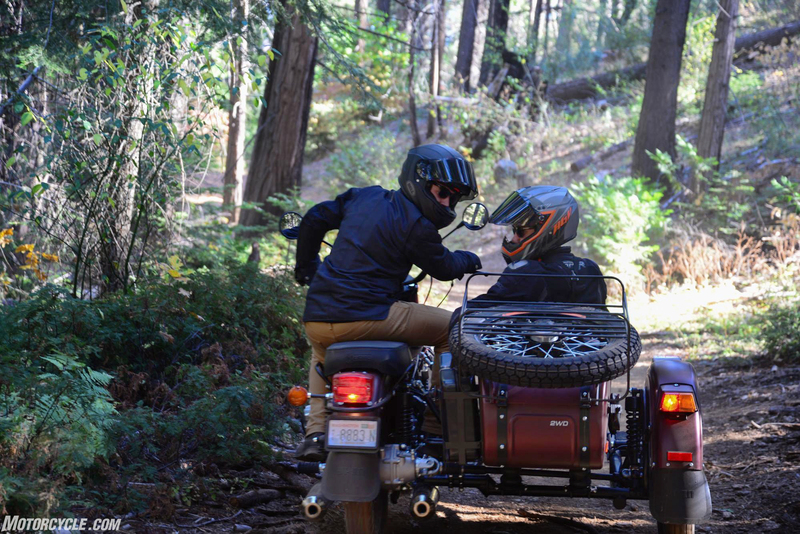 I have an intermediate oval shaped head, as do the majority of U.S. motorcyclists. I have used many different brands of helmets and continue to do so, however, this helmet is, if not the most, one of the most comfortable models I have ever donned. The inner liner feels premium and extremely comfortable against the skin. Bell uses their Virus Cool Jade liner on the Race Star Flex which was designed to: “withstand the rigors of hard use in extreme conditions, the Virus liner allows athletes to stay cool, keep comfortable and beat the funk”. I can attest to the cooling effect the liner has once you put it on. 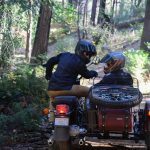 A great thing on hot summer days in the canyons or at the racetrack, but it has the same effect when slipping your head back into it after it has gotten slightly wet while riding through a hurricane in the south of Spain. Ask me how I know. It’s during these times the cooling effect is not so welcome. Another of my favorite features are that the Virus Cool Jade liner bits are easily removed. 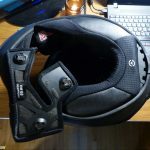 The cheekpads are magnetic and easily fall into place when reinstalling after a wash. Also great for quick release in a crash scenario. The visor of the helmet can be easily swapped out by depressing the buttons located on either side of the helmet. I would say it is the easiest and quickest visor swapping mechanisms I have used. I generally run the smoke shield on the helmet which isn’t too dark but does the job in most cases. There have been plenty of times I have worn sunglasses underneath as well however, in all but bright desert sun, that can be a bit too much tint for me. 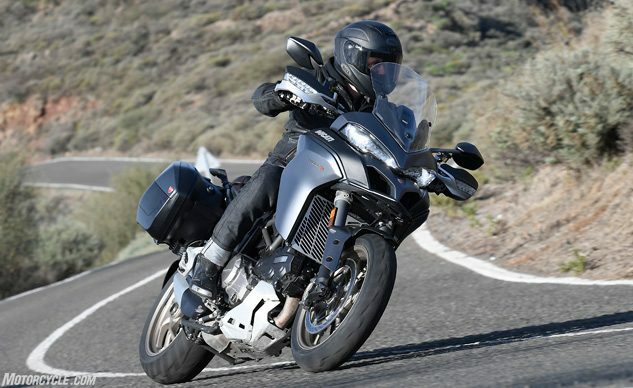 The Race Star’s air flow is controlled with vents on the chin, forehead, top of the head, and rear exhaust, all of which can be closed. While there are a lot of features I very much enjoy about this helmet, there are a few issues that really bothered me when I first received it. First of which, it’s heavy. My medium Bell Race Star Flex weighs in at 3 lbs 11.8 oz (1695 grams) which makes it the third heaviest helmet I own. 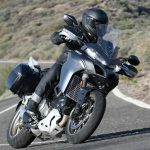 It’s even 0.1 oz heavier than the new Sena Momentum which houses a Bluetooth system and battery. Secondly, it’s rather loud, not an issue for those of you who wear earplugs (everyone should), but it’s noteworthy. Lastly, it is a physically large helmet. The weight and size are mostly due to the Flex three-layer protection system. That being said, the $1,200 Bell Pro Star is listed as weighing the same on Bell’s website. 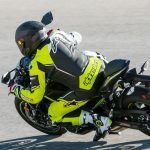 If I am looking for a top-of-the-line race helmet, with other models such as AGV’s Pista GP-R coming in at 1501 grams for a large, the hefty and sizeable Pro Star doesn’t make much sense. I have toted this helmet around the world with me for press launches. Even with the negatives that had initially bothered me, I got used to the helmet, loved the way it fit and felt when wearing it. 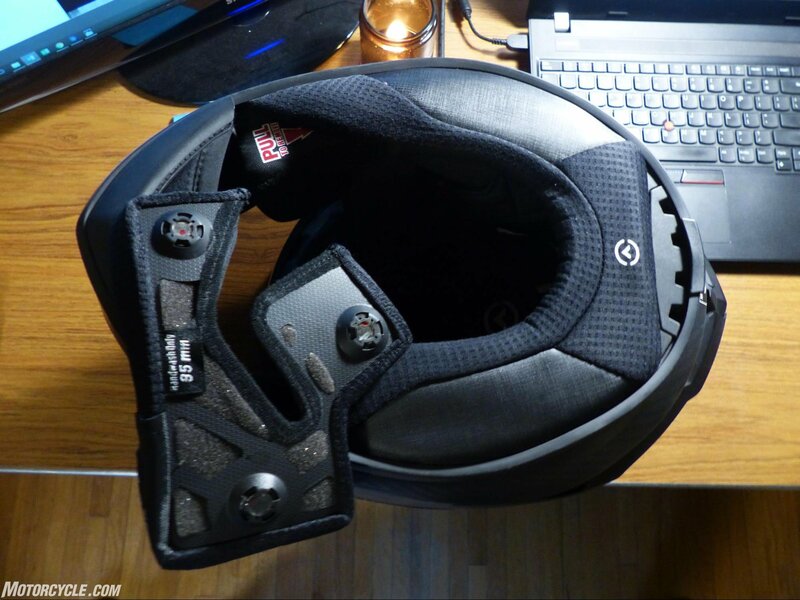 It looks great, and it became the head protection I found myself reaching for to wear on daily errands as well as for work (as is visible in the pictures with all sorts of motorcycles). Curious about those seven other colors? Find more information at BellHelmets.com.